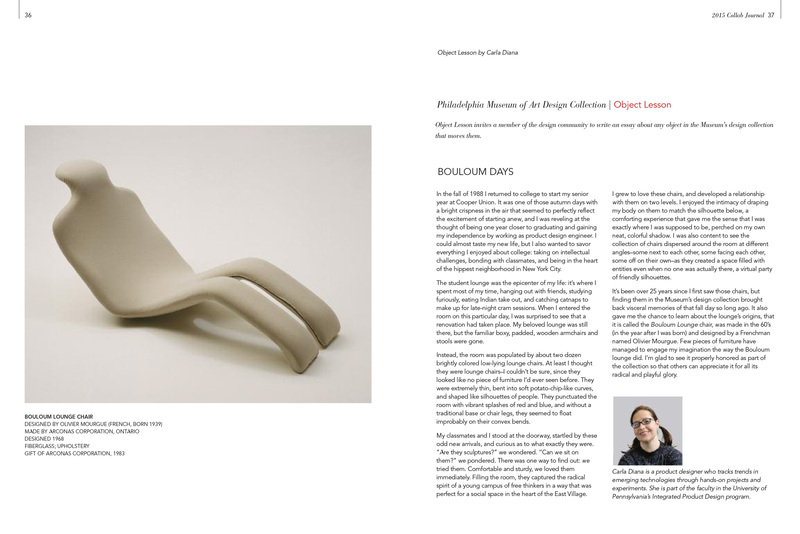 The Collab Journal originated in the late aughts as a newsletter/catalog to inform members of this affinity group at the Philadelphia Museum of Art about its annual Design Excellence Award honorees and exhibitions, student design competition, and Collab-funded acquisitions. Since taking over as Editor three years ago, I’ve focused on making it look and sound less like a museum catalog and more like a consumer design magazine. I’ve done so by introducing original content such as editorial features that surface objects in the Museum’s extensive design collection, many of which are in storage. 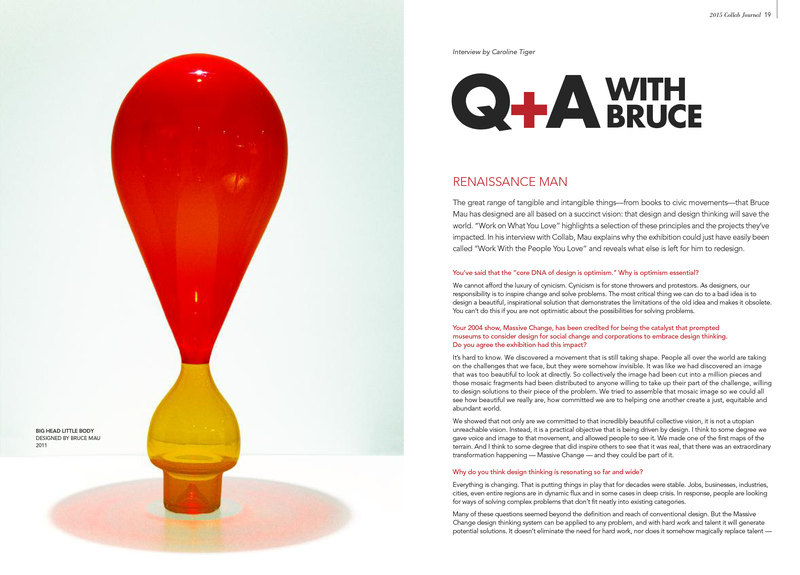 I’ve also evolved the publication’s pacing and packaging. We’ve been able to create synergy between the Journal and the original digital content we’re generating for Collab’s updated Web presence and social media channels, all in the name of sharing great design, raising brand visibility, and expanding Collab’s membership and audience.